The Balearic Islands tourism board illustrates the latest sustainable initiatives in the archipelago and highlights a range of new developments for spring 2019 in Mallorca, Menorca, Ibiza and Formentera. The Balearic Island government has approved a new environmental law surrounding climate change and energy transition. In line with the Balearic Island’s objectives to create a long-term sustainable tourism destination, the new law includes a series of measures focused around clean energy transition with the ambition of developing a 100% renewable energy model, eradicating the use of fossil fuels by 2050. By 2030 the goal is to operate with 35% renewable energy and achieve a 23% reduction in energy consumption as well as a 40% reduction in polluting emissions. Since 1 July 2016, a sustainable tourism tax has applied to all stays in tourist accommodation in the Balearic Islands. In the first year of the sustainable tourism tax (from July 2016), 30 million euros were channelled into 46 projects throughout the islands. In 2017, the tax raised 64 million euros which was invested into 62 sustainable tourism initiatives. In 2018, the tax raised 122.78 million euros directed towards a further 48 projects. Collectively, over 216 million euros has been raised which has been channelled into 156 projects. The significant increase in tax revenue in 2018 was partly due to the legislative change regarding cruise stays in the Balearic Islands, whereby all docked cruise passengers were charged the tax (starting 01 January 2018). One of the latest projects to be funded by the sustainable tourism tax is the restoration of Castell de Alaró in Mallorca. The castle, which is home to the Silis Campins Alaró fort, will be purchased for 1.1 million by the council, with the aim of opening the heritage site to the public. The project will begin with the excavation of the archaeological area and renovation of the medieval walls and reservoirs which had deteriorated overtime. 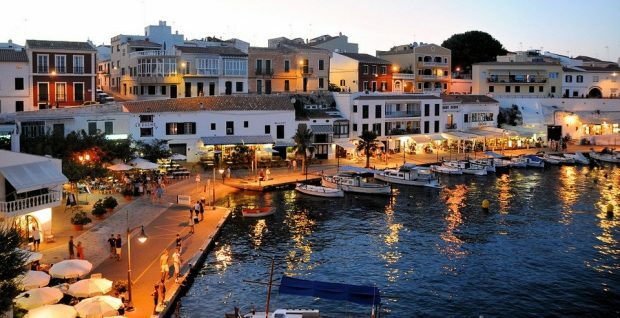 Menorca was declared a Starlight Destination and Reserve by the Starlight Foundation. The audits carried out by the company Lumínica Ambiental confirmed that Menorca has areas of complete darkness perfect for stargazing, making the island an ideal destination for astrotourism. Menorca boasts several idyllic stargazing sports such as La Vall, Cavalleria and Binigaus. 2019 marks the 20th anniversary of UNESCO inscribing a selection of Ibiza’s cultural and natural assets on the world heritage list. This recognition was granted by the UNESCO World Heritage Centre in 1999 for Ibiza’s ‘biodiversity’ and ‘culture’. These cultural and natural assets include: Dalt Vila, the best-preserved fort in the Mediterranean the Phoenician settlement of Sa Caleta, located on a small peninsula to the south of Ibiza and one of the island’s oldest urban settlements. Formentera is set to open a maritime museum at the La Mola lighthouse after opening its doors to the public in February. The lighthouse will host a new permanent exhibition on the maritime history of Formentera with information panels and audio-visuals that will tell the story of the island’s sea history, fishing and migratory movements that have taken place. The building will also feature exhibitions and cultural events such as concerts and poetic recitals. The museum is expected to open in May 2019. Finca Serena, a 40-hectare estate located in the heart of Mallorca is set to open in April 2019. The renovated property sits amongst ancient olive groves, lemon trees and fruit orchards and will house 25 luxurious rooms and suites nestled into the countryside. The Finca boasts wellness facilities, yoga classes and meditation zones whilst the spa offers massages and treatments, an indoor and outdoor pool, fitness equipment and a sauna. A one night stay in a double garden room is priced from €392.70 based on two adults sharing. In May 2019, Formentera will welcome the opening of its first five-star hotel, ‘Five Flowers Hotel’. The luxury establishment inspired by the island’s “Hippie Lifestyle” sits only 150m from Es Pujols beach and a stone’s throw away from Formentera’s main tourist centre which has plenty to offer with boutiques, bars and restaurants. The property also has a hot tub with 360º views over Formentera and Ibiza. A one night stay in a flower boutique room is priced from €334,80 based on two adults sharing. Hotel Creu de Tau Art & Spa, a new hotel renovated from a former convent, is set to open in May 2019 in Mallorca. The property boasts all new interiors and 27 bedrooms with stunning panoramic views. The hotel comes complete with lush gardens, pools, a spa and fine dining restaurant, ideally located just a five-minute walk from the famous Capdepera Castle and with Cala Moll beach just a five-minute drive away. A one night stay in a double standard room is priced from €200 based on two adults sharing. The Elba Sunset Mallorca Thalasso Spa is set to open in June 2019 boasting 252 rooms and suites, a terrace, a rooftop pool and outdoor restaurants. Situated in Torrenova, Mallorca, the hotel will also have a luxury spa with an avant-garde water circuit and treatments with natural products inspired by the Mallorcan climate. A one night stay in a double standard room is priced from €92,22 based on two adults sharing. Bless Hotel Ibiza is set to open in June 2019 in Santa Eulalia del Rio. The property offers art deco interiors and breathtaking views of its surrounding turquoise seas and features two restaurants, more than 150 completely unique rooms, an elegant vermouth bar, two infinity swimming pools and a rooftop cabana where guests can enjoy the endless views of the Mediterranean. A one night stay in a deluxe room is priced from €190 based on two adults sharing. Reborn from a 19th century finca on 30 hectares of land, Hotel Menorca Experimental will open its doors in July 2019. Located in Sant Llorenç, Menorca, the complex designed by Dorothée Meilichzon will be made up of nine houses, nine private swimming pools, a vegetable garden, a horse stable, a large swimming pool, two restaurants and a signature cocktail bar with a Mediterranean backdrop. Scheduled to open this summer in the heart of Palma’s Old Town, El Llorenc Parc De la Mar offers 33 exclusive guest rooms, Balinese style sunbeds and an infinity pool on a multi-terraced rooftop along with a cocktail bar showing sweeping views of Palma Bay. Wellness facilities include an indoor pool, spa treatments, along with a range of dining options including a new destination restaurant from one of the island’s most renown chefs, Santi Taura. A one night stay in a signature room is priced from €320 based on two adults sharing. Ulisses Bar, located in the heart of Ciutadella within the plaza de Mercat des Peix in Menorca has recently been renovated with a new vintage look. The food menu has a selection of fresh dishes made from local produce from the island such as octopus, truffle oil and sirloin steak, whilst the wine and cocktail list is set to change each month. The Tomeu Martí restaurant Arume, has opened the first Sake Bar in Mallorca in Santa Catalina de Palma, influenced by the aesthetics of Japanese taverns. The new, modern space offers a wide selection of Japanese dishes which fuse locally sourced produce and traditional Japanese gastronomy. The bar also has a wide selection of flavoursome sakes. Feria Arrels, the two-day food fair in Recinte Firal Maó, Menorca, took place from 6 April to 7 April 2019 showcasing the island’s local produce, with chefs demonstrating techniques, recipes and the traditional ingredients of the Menorcan cuisine. The fair had an exhibition space and three activity areas including a cooking classroom, tasting area and children’s zone where visitors could discover the local gastronomy. Ibiza spring food festival, ‘Ibiza Sabor’ which takes place from April 5 to 31 May 2019, provides appetising menus and showcases the island’s local gastronomy with food stalls, demonstrations and samples of products. With affordable prices, visitors van enjoy traditional Ibizan dishes such as fried goats’ rib with garlic, Ibizan fried octopus, cuttlefish black rice and Flaó (cheesecake). The ‘Trail Menorca Camí de Cavalls’, is an event which takes place along the ancient footpath on May 17, 18 and 19 2019. The sporting and recreational event combines both a tourist and a sporting aspect and offers a personal challenge open to anyone wishing to partake by running or walking. The event contains six self-supported distances that take place along the GR-223 trail. London Spanish Film Festival is set to premiere the new film, ‘Formentera Lady’ on Sunday 14 April for the Spring Weekend Festival. Directed by Pau Durà and shot in spaces around the island, the plot is based on Formentera’s hippie refuge and colourful cultural past. Ticket prices start from £12.